Despite the initial bad weather on Sunday 27th May 2018 the 47th Devizes Top Ten Tournament event hosted by Devizes Bowmen at their Green Lane Playing Fields club ground in Devizes was a great success and was extremely well organised and attended for the York, Hereford, National and Junior Bristol Rounds. 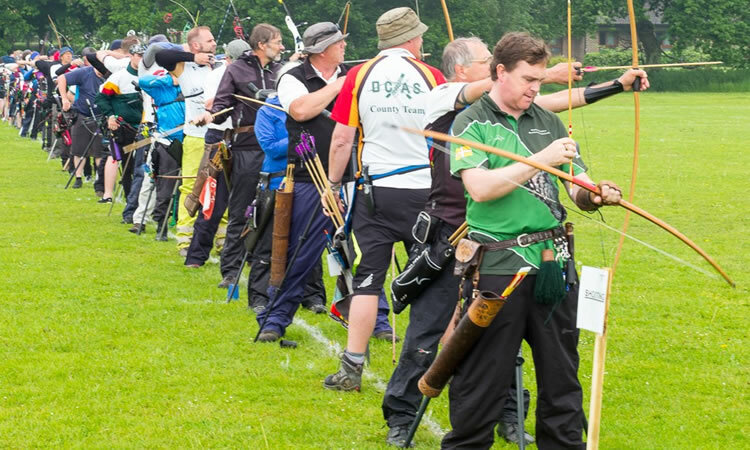 There were 11 Rose Award Claims, 2 six gold end claims, and subject to Archery GB ratification a new National Record was set for the National Round by Mark Rudd. Many thanks to Lady Paramount Mrs Kay Smith, Tournament Organiser Neil Lockhart, Tournament Judges David Leach and Paul Burden along with everyone else who helped organise and facilitate the event including runners, the field, scoring and refreshment crews also to Wadworth in Devizes for providing support which allowed this event to take place.